← It’s a Bird… It’s a Plane… It’s Superman… It’s a Taco! 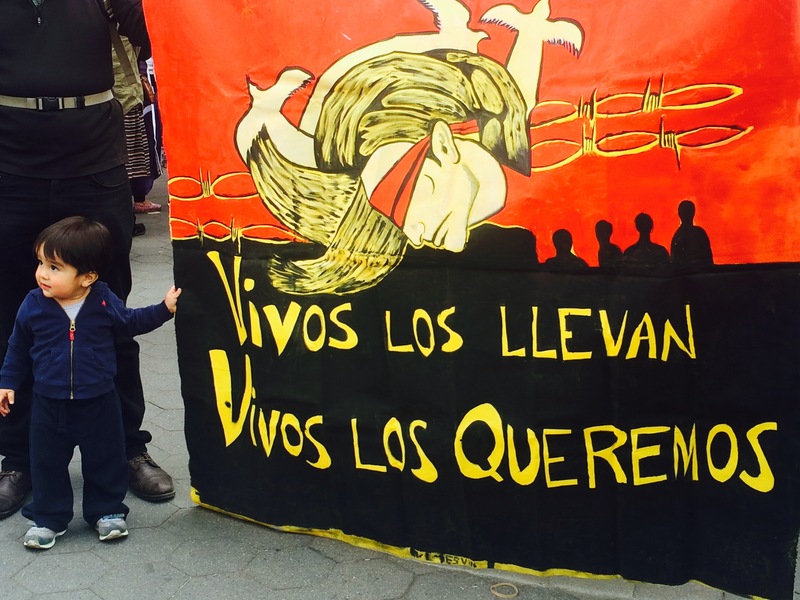 Mexicans and non-Mexicans in New Yorker gathered today to pay homage to the 43, and we were lucky enough to be joined by six of the many parents who were left childless from this state-sanctioned murder. This entry was posted in Latin America, Mexico, New York City, Why I Love Mexico and tagged Ayotzinapa en Nueva York, Mexicans, New York. Bookmark the permalink.